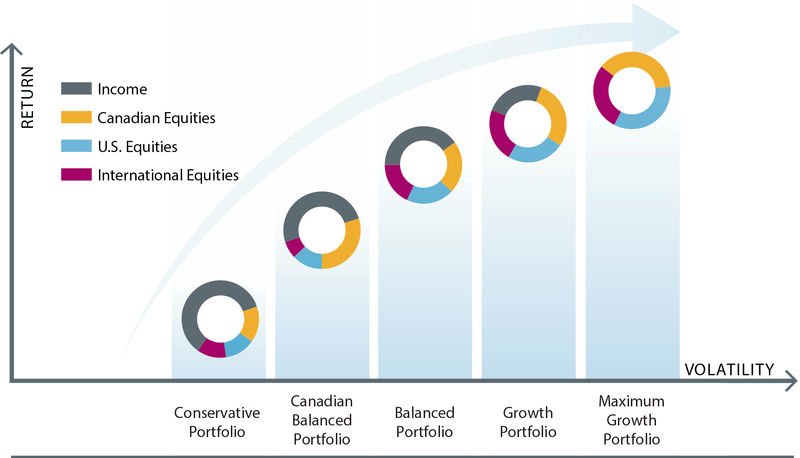 The five ivari CI Portfolios lie on the efficient frontier – meaning they are designed to maximize returns while minimizing volatility for that level of risk tolerance. This portfolio may be right for a person who will invest for a medium to long term and wants potential for income and some growth and is comfortable with small to moderate changes in value during the term. This portfolio may be right for a person who will invest for a medium to long term and wants potential for growth and income and is comfortable with small to moderate changes in value during the term. This portfolio may be right for a person who will invest for a medium to long term and wants potential for growth and some income and is comfortable with small to moderate changes in value during the term. This portfolio may be right for a person who will invest for the long term and wants potential for growth and is comfortable with moderate changes in value during the term.